These days, my brownie love runs the gamut from the all-chocolate varieties to the kitchen-sink varieties. Essentially, I haven’t met many brownies I haven’t liked. 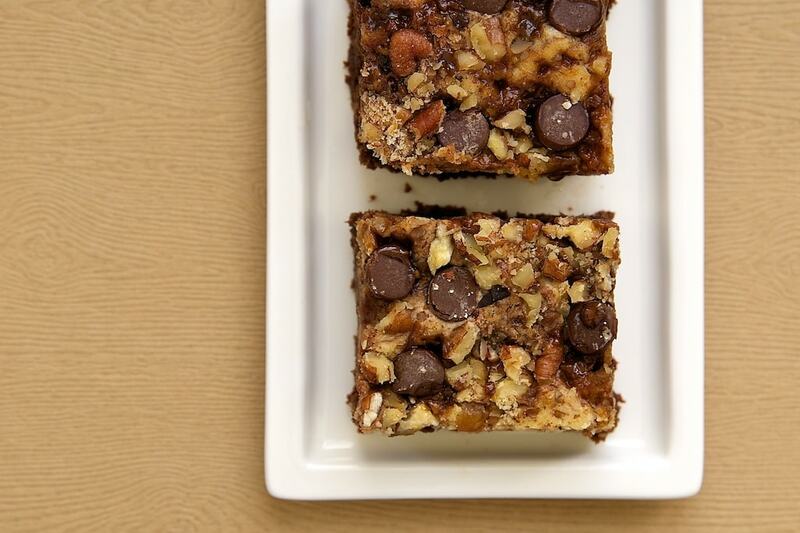 These flavor-packed brownies are no exception. The first question usually asked about brownies is whether they are cakey or fudgy. The original recipe describes them as not too much of either one. To me, they’re cakey. That works very well with the cream cheese topping to make them not seem so heavy. 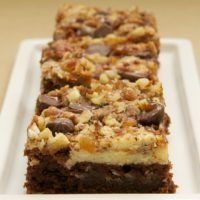 Added to both the brownie batter and the top of the brownies is a generous helping of pecans, toffee chips, and chocolate chips. It’s a lovely flavor combination, with no one component seeming to overpower. 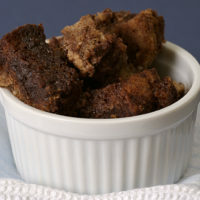 This is another great adaptable recipe for using what you have on-hand in your pantry. You can easily change the type of nuts, or leave them out. Different flavor chips would be equally as delicious. In fact, I’m already imagining a peanut butter chip version. Using an electric mixer on medium speed, beat cream cheese and sugar until smooth. Add egg and flour, and continue mixing until well-combined. Set aside. Place butter and chocolate in a microwave-safe bowl. Microwave at half power in 30-second increments until butter has melted and chocolate melts when stirred. Transfer to a large mixing bowl and allow to cool slightly. Preheat oven to 325°. Grease and flour a 9″x 13″x 2″ baking pan. Add sugar to butter/chocolate mixture. Stir until blended. Add eggs, milk, and vanilla. Beat well, either by hand or with an electric mixer. Add flour mixture in 3 or 4 portions, mixing until blended. Stir in half of the pecans, half of the toffee, and half of the chocolate chips. Reserve about 1/2 cup of brownie mixture. Spread remaining brownie mixture evenly into bottom of prepared pan. Drop cream cheese mixture by tablespoonfuls over the top of the batter. Drop reserved brownie mixture by teaspoonfuls between the dollops of cream cheese mixture. Use a knife to swirl together the cream cheese mixture and brownie mixture. Sprinkle the remaining pecans, toffee, and chocolate chips over the batters. Gently press the toppings into the batter. 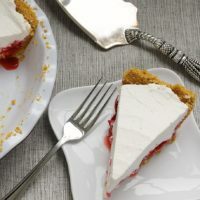 Bake 45-55 minutes, or until a pick inserted into the center comes out with moist crumbs attached. Do not overbake. I definitely lean towards brownies that are fully loaded. In other words, send me some of these haha. I posted cream cheese brownies today too! The toffee sounds especially delicious in these! These look delicious. Must bake these soon! 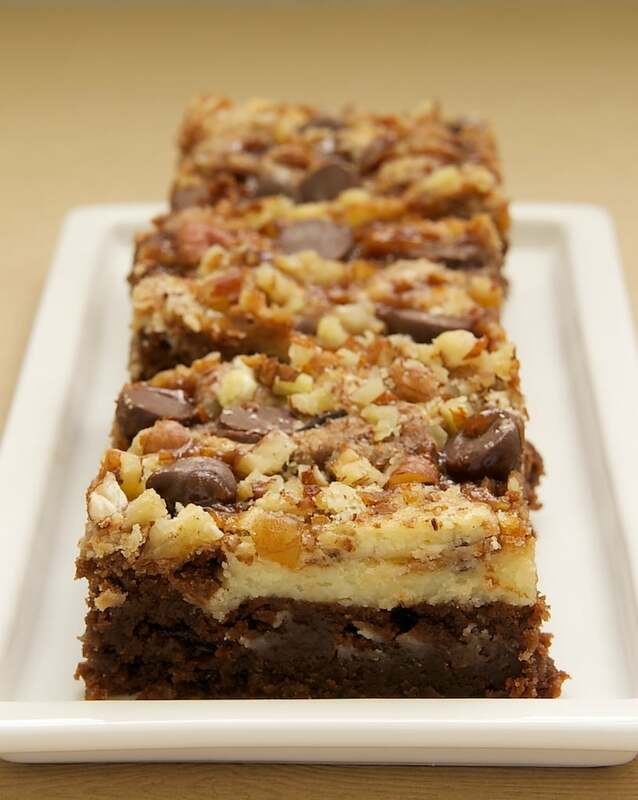 We love brownie… Any time… Any day.. Any way.. =) Looks delicious! Love the combination of igredients. 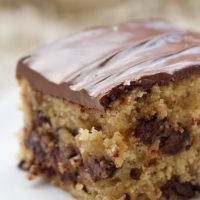 Since I like lots of crunch & texture, I will amp up the toffee and chocolate chips for a total of one cup each. Great choice for the next carry-in @ work. Please go to trader joe’s and get those sweet & spicy pecans–you must try those! I love that these brownies have such fun toppings! Makes them extra delicious. I love brownies. 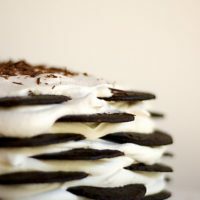 Must make these soon. Oh yum, these look and sound like the most delicious brownies! I really need to bake more with cream cheese…these are FANTASTIC! Thank you for sharing! The topping of these brownies looks insanely good! as does the brownie underneath! 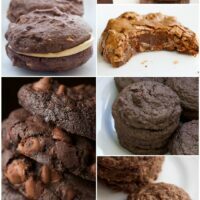 I will definitely try and these browny look so delicious. Perfect combination of toffee and cheese .. so Yummy! 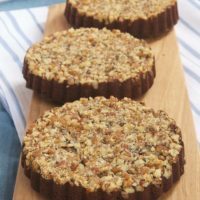 I’m a huge toffee fan, so adding it to one of my already favorite combos of cream cheese and brownies makes this over the top for me! I LOVE this Blog! Made these brownies this weekend but cheated on the base layer and used a mix. They were really tasty and went quickly! Definitely make these again. Thanks, Keri! I’m glad you liked them!